Each year we spend some part of the summer in the Central Coast region of California. It’s beautiful beaches, oak-studded hills and temperate climes make it the perfect place to escape the heat of Scottsdale in July and August. Well, let’s face it, anyplace that has temperatures less than 105 is the perfect place. But literally, the Central Coast has been designated as having the most consistent weather in. the U.S. In the last dozen years it’s also become known for something else – wine! The San Luis Obispo and Santa Barbara county wine-makers are giving their northern brethren a run for their money. They have a long way to go, but having grown up in Northern California, I can remember when Sonoma and Napa were best known for dairy farmers and ranchers. The Gallos were the biggest wine makers back in the day, generating their huge bottles of Italian reds that were cheap even then. Once the Mondavis and Beringers began cultivating serious wine grapes, well, the rest is history. On the Central Coast our ventures out to the wine trail usually take us to the vineyards of Santa Barbara County for reasons that will become evident later. 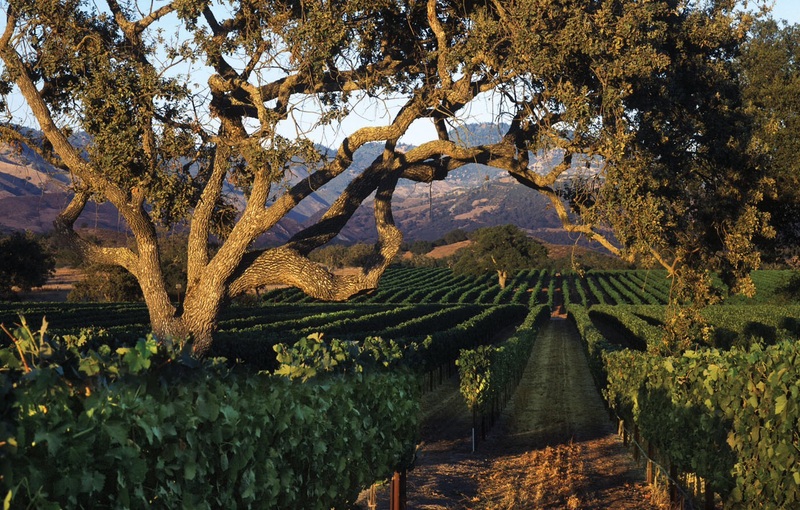 The first recorded wine-maker in the area was none other than Junipero Serra, who planted the first vines back in 1872. I must say, between founding missions and exploring the El Camino Real, Father Serra was a pretty busy guy. 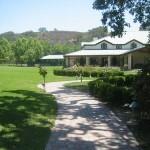 In any event, over the following 100 years the area gained sixteen more vintners and grew to over 260 acres of grapes. Sadly, during the Depression the Prohibition buzzkills burned many of these historic vineyard sites and mostly put an end to winemaking in the Central Coast. Fortunately,there are always those that find their way around any ridiculous law so the passion for wine making was carried on by a group of scofflaws. From that small seed, or vine as the case may be, grew the abundant grape-growing region that exists today. 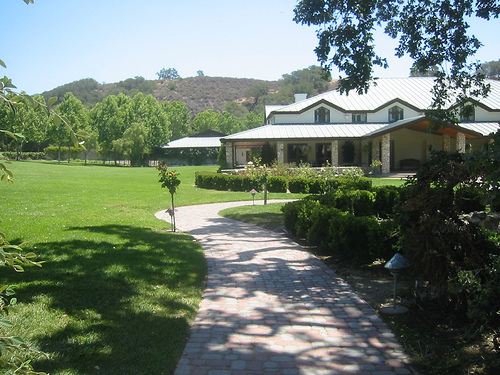 In large part, the recent popularity of Santa Barbara County wineries can be attributed to the wonderful little movie, “Sideways” which was filmed in and around several of the local venues. The popularity of the movie turned out to be a boon for tourism and local wine, especially the Pinot noir that the region is famous for. (For those of you who have seen the movie I can attest that it is possible to get a bottle of Merlot here too!). 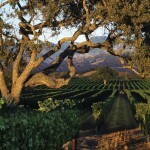 So why do we frequent the Santa Barbara County wineries? 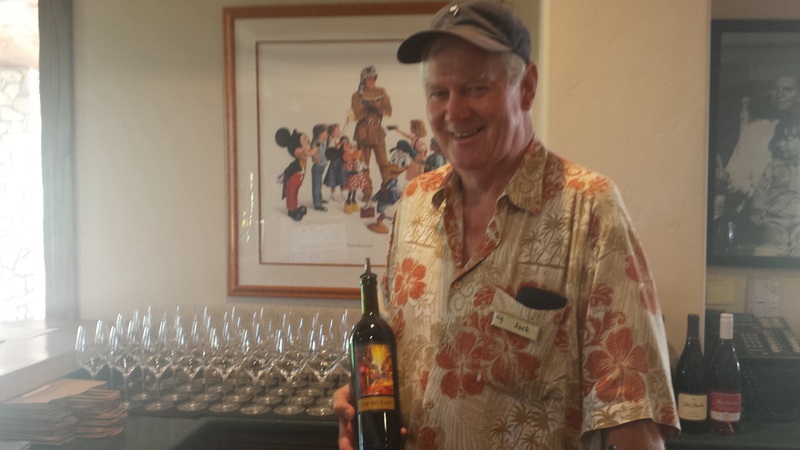 Because our brother, Jack Sparrow, works for the Fess Parker Winery. Lucky? You bet! But we have a long history in our family of having fun retirement jobs. When our dad quit his day job he worked at Sonoma National and then his local golf course as a starter until he was in his early 80’s. Our mom, who was rivaled only by the Queen of England in her love for jewelry, retired from the local school district and worked at a jewelry store until she was 90. Brother Bob helps people, which is his passion, in both volunteer and part-time jobs, and as a life-long fiber enthusiast, I have been lucky enough to work part-time in a knitting shop for 13 years. But it is brother Jack who really lucked out. He spent most of his career in the restaurant business, even owning his own place in Tahoe for a few years. So he knows his way around food and wine (as opposed to the rest of the family that just consumes lots of both). Ten years ago when Jack and his wife Sharon moved to the Central Coast Jack went in search of a fun retirement job. 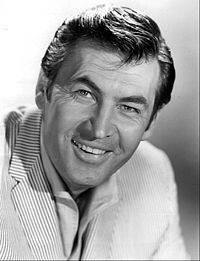 He was hired at Fess Parker Winery and soon met “the man” himself. For those of a certain age, we remember him best for his portrayal of Davey Crockett. Jack spent many hours with Fess, hearing about his days in Hollywood and with Disney. But it was Fess’ love of wine-making that captured Jack’s attention. He absorbed all that he could until Fess died in 2010. 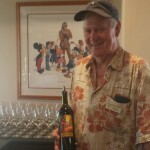 Now, every Monday, Wednesday and Friday you can find Jack behind the bar in the tasting room, regaling customers with stories about Fess, the winery and the wines. Jack’s great oratory skills (we have another name for that in the family) are evident in the rapt attention that his audience gives him. Seriously, although I’m the one working in a knit shop, it is Jack that spins a good yarn. My husband says that the most fun he has is sitting quietly in a corner of the tasting room, watching Jack work his magic. It is no coincidence that he has been the top seller of wine club memberships for several years running. By the time you read this we will be home inspecting our remodeling project and, thus, drinking lots of wine. If your travels take you to California I highly recommend a stop in the Central Coast. Just one warning: if you go to the Fess Parker winery when Jack is working, reconcile yourself to walking out of there a wine club member! Baltic Cruizin’ – Epilogue and ‘Don’t & Dos’ of a Baltic Cruise How Long Can We Do This? I’m happy to announce that the Foster Brooks Fan Club has added this blog post to their required (hic) reading list. Great story! So true so true. Cheers! Love this blog – and yes, I love wine! 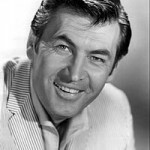 San Luis Obispo has long been a favorite and I can’t wait to go to the Fess Parker Winery and to meet Jack!